The Cape Breton University Pipe Band is a competition and performance band that exists under the umbrella of the Island Pipes and Drums Association. The band has grown out of a teaching program initiated in 2014 with sponsorship by the Royal Nova Scotia International Tattoo, aimed at teaching youth across Nova Scotia for free. Our association now features a performing band of over 20 members, a developmental band, and registration of over 40 youth and adult individuals in our teaching program. We are proud that almost all of our musicians have been taught locally in our Association. 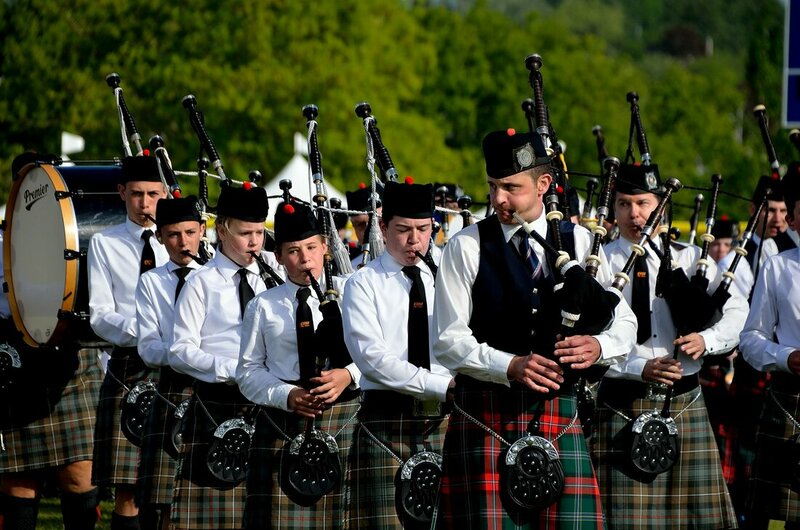 Join us for the first annual Highland Fèis presented by the CBU Pipe Band on May 31 - June 2, 2019. Registration includes entrance into Friday and Saturday night entertainment, access to four workshops of your choosing on Saturday, and the Key Note Speaker presentation Sunday morning. 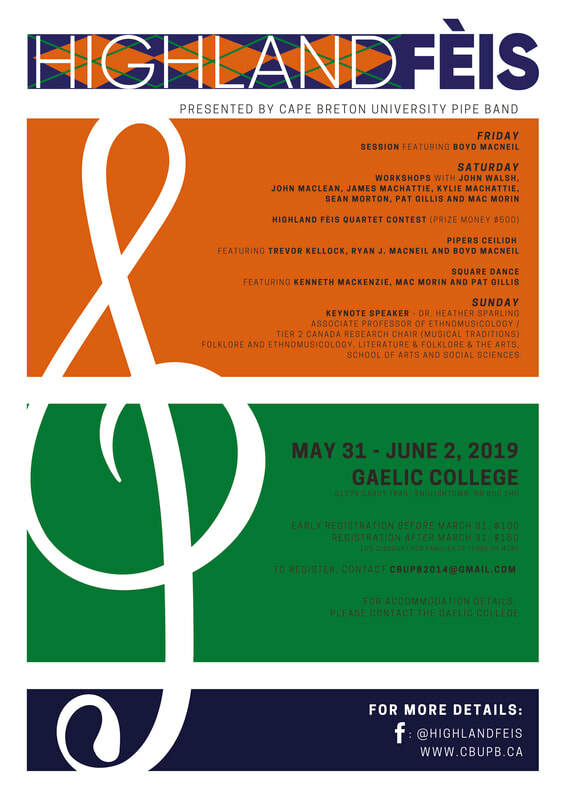 Registration does not include accommodations and food, however both are available onsite through the Gaelic College. Contact the Gaelic College directly for more details. competitions in the Grade 5 category at highland games in Moncton, Antigonish and Fredericton.